The Hollywood film Megacorp Produced by a leading Production House in U.S will be Directed by Nandita Singgha who is better known as Michelle since its her birth name.There was a survey conducted and even a poll on a popular website regarding which Bollywood hero should be cast in this role of a hero opposite a leading Hollywood star as Villain.There would also be a leading Hollywood actress being cast opposite him. It seems most of the people of India wanted to see Hrithik Roshan in this role of an Indian Gujarati Journalist.Moreover Megacorp could even be Hrithik's First Hollywood movie if things work out in his favour! Michelle (Nandita Singgha) has even attached Hrithik's recent Mountain Dew Ad with the tagline Darr ke aage Jeet hain to the Hollywood production company for approval to fix up a meeting with him through her team . 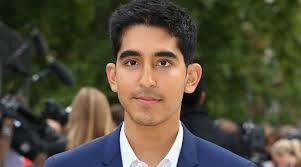 The Hollywood Production company was more in favour of Dev Patel because he has won several Awards for Slumdog millionaire as a lead actor like Black Reel Award,Chicago Film Critics Association Award,National Board of Review ,Screen Actors Guild Award and he is genuinely a Gujarati. The Indian journalist has to be Gujarati but Michelle feels that without contacting and meeting Hrithik she shouldn't finalise regarding who should play the main lead.Maybe Hrithik might be asked to fly down to US for further discussion. This will also give a bigger boost to the Indian film industry internationally and the shooting will happen in Namibia which will start from December 2016. So there is enough time for preparation for any actor . The Hollywood actress too will be finalised soon and then they will be making all official release next year in November 2016. So let's hope Hrithik Roshan gets the Hollywood ticket as the lead actor in Megacorp !